Can Accounting be Interesting and Exciting? We say yes! Many people think that accounting and working with figures must be boring, involving an everyday routine with no changes and challenges. We at hetras have specialists in different hotel and tourism topics, and some of them even have a passion for the world of digits, taxes, and reporting. To encourage interest in being part of the hetras financial team in development or support, we are talking to our expert Christian Lubowiecki to learn more about their experiences and motivations. See below for some of the answers. Many people still picture accountants as being very withdrawn and not liking to communicate much. Is that true? We see that sort of behavior in a few traditional hotels in different countries, but modern accountants are very well trained, familiar not only with fiscal laws of the country, but also with regulations of tariff unions, for example, the European Union. They are open to lively discussions and like to get feedback on how their daily work can be optimized and simplified. The people in the Bookkeeping Department are often considered to be the ones who know most about what is going on in the hotel. That is definitely true, as they have regular insights into what is happening in most departments of a hotel or chain. What accounting tasks do you enjoy? Preparing taxes is like doing a puzzle … you’ve got a bunch of pieces that need to fit together. What are the main duties of a hotel accountant? The HMS (hotel management system) is the center of all data in a hotel. Operational processes get more and more automated, and pre-payment becomes more important to hotels. There, already, is the first touch point with the accounting department, as we need to make sure that the correct amount of a pre-payment is on the guest's invoice far ahead of arrival and that the payer receives a confirmation for the reservation and the payment. In the next step, the guest checks in and the hotel has to deal with all kinds of folios before it comes to the check-out and final folio handling. Each day is closed with a procedure called night audit and involves several checks in the revenue and payment postings by the accounting people. Modern hotel management systems are not located on-site any longer but are hosted in the Cloud. How difficult is it to connect to an accounting system in the hotel? Not at all. The state-of-the-art electronic communication systems allow the creation of a data extract with the needed information in near real time and can provide the figures to any back office system. At which stage of the software development does a developer need financial experience and knowledge? That starts as early as the concept phase, where product managers think about developing new modules or enhancing existing ones. As mentioned above, there is almost no area in the hetras application not being touched by revenue or payment transactions, and, in the end, it all needs to show up in the reporting suite. Do you recommend printing all of these reports daily? Cloud-based software has the huge advantage that users are not dependent on print-outs any longer. You can get the necessary reports online from any place in the world with a working Internet connection. In theory, there is no need to print and archive tons of paper every year. At the same time, some countries do require certain documentation to be on paper, and fiscal authorities might ask for hard copies. Please always check with your tax consultant or fiscal authorities before starting with a paperless office. I have heard about GDPdU requirements in Germany, but what do they mean, exactly? GDPdU is the abbreviation for "Digital Tax Inspection, the German Principles of Data Access, and the Auditability of Digital Records." It means that, in carrying out an external tax inspection (company audit) or a search of company premises for VAT purposes, the tax office may consult your company’s electronic accounting data and study this data closely and efficiently using appropriate software. hetras is still looking for new employees, do you have anything to say about their requirements? Our recruiter Astrid – is always asked if people need to have hotel experience? In an ideal scenario, people would have both hotel experience and knowledge of IT. In reality, neither of these is a must. One thing that is important for working here, however, is a good knowledge of English. Our staff members come from 15 different countries, which makes English the main language spoken here. Here you can find our job ads. Christian Lubowiecki was born and grew up in Austria before career opportunities led him to move to Munich. He has always been passionate about hiking in the Alps and likes to escape the city for a few hours on a regular basis. 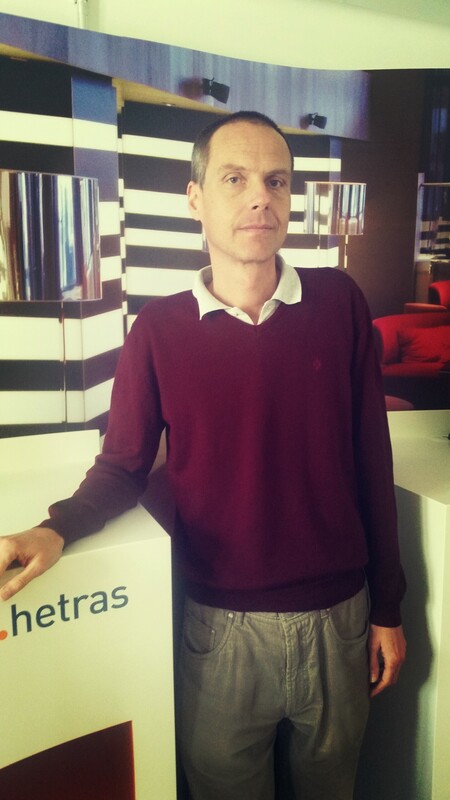 Christian has been working for hetras as Product Manager since 2011, and has more than twenty years of international hotel, project, and product management experience in the hospitality industry. In the early 1990s, he wrote one of the first papers about the installation and usage of an electronic reservation system between a German tour operator and a holiday destination in Tyrol, Austria.